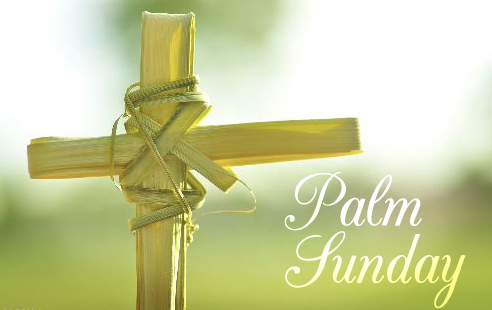 On Palm Sunday we wave ʻpalmsʼ in remembrance of Jesusʼ procession into Jerusalem. We cry ʻHosannaʼ (in Hebrew meaning ʻSave Us Now). What is your expectation of God ʻsaving usʼ? Are you willing to let go of a strong powerful military figure and allow a ʻsuffering servantʼ? What do you think happened in the minds and hearts of the crowd gathered to eventually cry ʻcrucify him!ʼ? Palm Sunday is also called ʻPassionʼ Sunday as we listen to the whole story of Jesusʼ personal betrayal by his disciples, his court appearance before religious and political rulers, his rejection by previously welcoming crowds, his cruel whipping and torture by soldiers. Watch, listen, feel the violence. Where does such cruelty originate from in the world? Why does the world seek a ʻvictimʼ? Where would you place yourself in this drama of the passion: With Peter? With the pious religious authorities concerned about the ʻunrestʼ and political problems caused by revolutionary activity? The crowd is pictured watching and beating their breasts in sadness as they returned home. But ʻhis acquaintances stood at a distanceʼ. How could you stay present to this ʻHolyWeekʼ experience? You may wish to find out the Holy Week timetable and reflect on the readings before each of the ceremonies. What is something you can do this week to be ‘livingtheword’?